This holiday season, winter comes to Rocket League! Independent video game developer and publisher, Psyonix, announced today that its the popular sports-action sensation, enjoyed by more than 8 million players worldwide, is serving up its own brand of Christmas cheer with significant new items and additions. Starting Monday, December 14, the previously-announced hockey-inspired Mutator Mode, renamed “Snow Day,” will officially the “Mutator Mashup” online playlist. Boasting an iced-over field and a heavy, disc-shaped hockey puck, “Snow Day” brings an engaging new twist to Rocket League’s soccer-style gameplay. In addition to the “Snow Day” Mutator, December 14 also brings seven new holiday-themed Garage items. Just like those found in the seasonal Halloween update, these “Winter Games” post-match drops are limited-time goodies that include an “Xmas” Rocket Trail, “Christmas Tree” Topper, “Candy Cane” Antenna, and several more. Though the chances of getting “Winter Games” items are lower than that of a standard drop, players have a chance to find one following the completion of any match, win or lose, and will permanently keep the item once found. Fail to collect all holiday items before Monday, January 4, however, and you’ll have to wait until next year to find them again. Both the Snow Day update and the Winter Games items are absolutely FREE on PlayStation4 and Steam PC. For players interested in a darker, post-apocalyptic Rocket League, the game’s newest DLC add-on, “Chaos Run” will be available on both PlayStationNetwork and Steam PC for US $3.99 starting December 1. Rocket League is one of the most critically-acclaimed games of the summer, boasting a community that is already more than 8 million players strong. 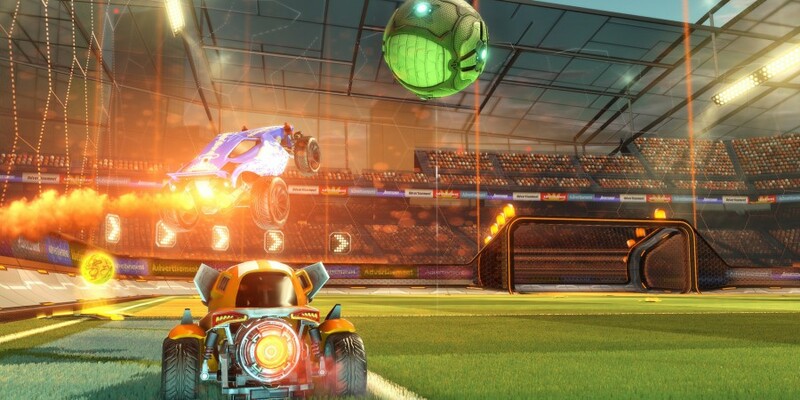 Available digitally on the PlayStation4 computer entertainment system via PlayStationNetwork and on PC via Steam, Rocket League brings gamers a high-powered hybrid of arcade-style soccer and vehicular mayhem. Offering easy-to-understand controls and fluid physics-driven competition for 1-8 players, Rocket League boasts more than 10 billion possible garage customizations, giving players the opportunity to distinguish their Battle-Cars in either local or online play, while showing them off in a broadcast-quality replay viewer that perfectly complements the video-editing capabilities of PlayStation SHAREfactory.